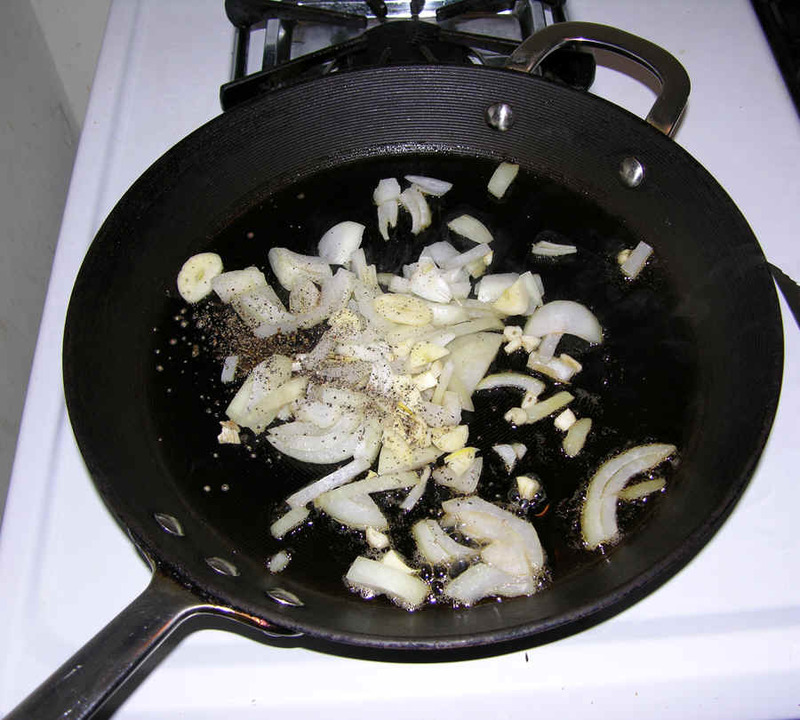 Saute chopped onions, black pepper and sliced garlic. Add diced beef and continue saute until beef is slightly browned. Start heating large pot of salted water. When water starts to boil, add pasta and cook about 10 to 15 minutes to the texture you like. 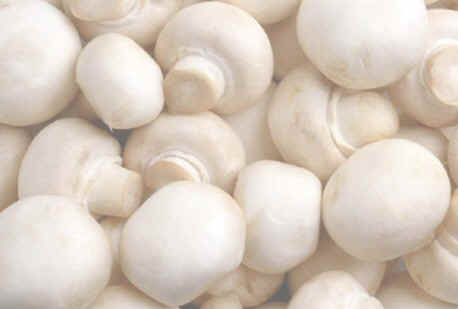 Strain cooked pasta and hold hot until the meat and mushroom sauce is ready. 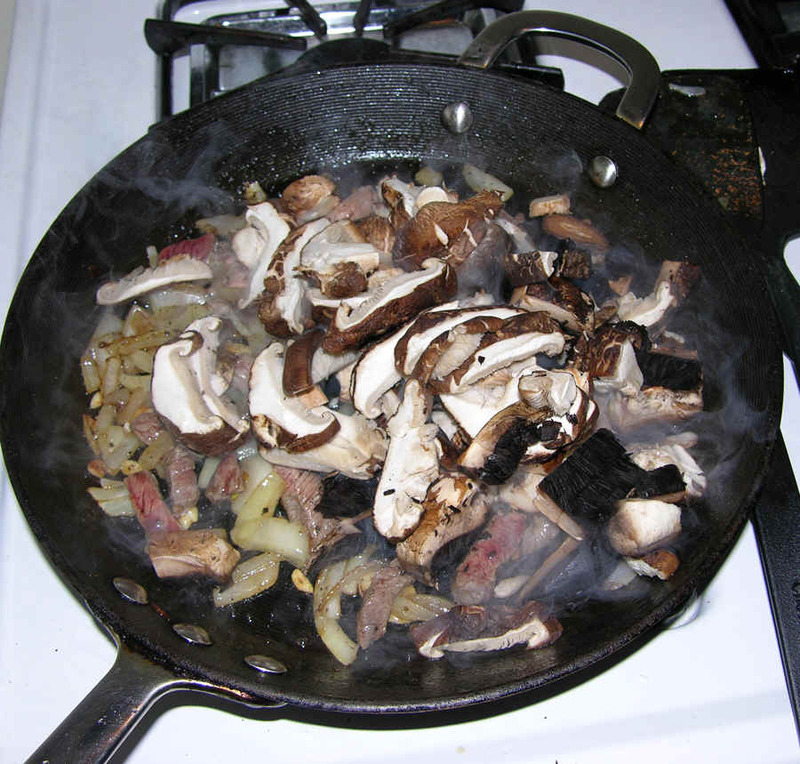 Add mushrooms and continue saute until ingredients are medium browned. 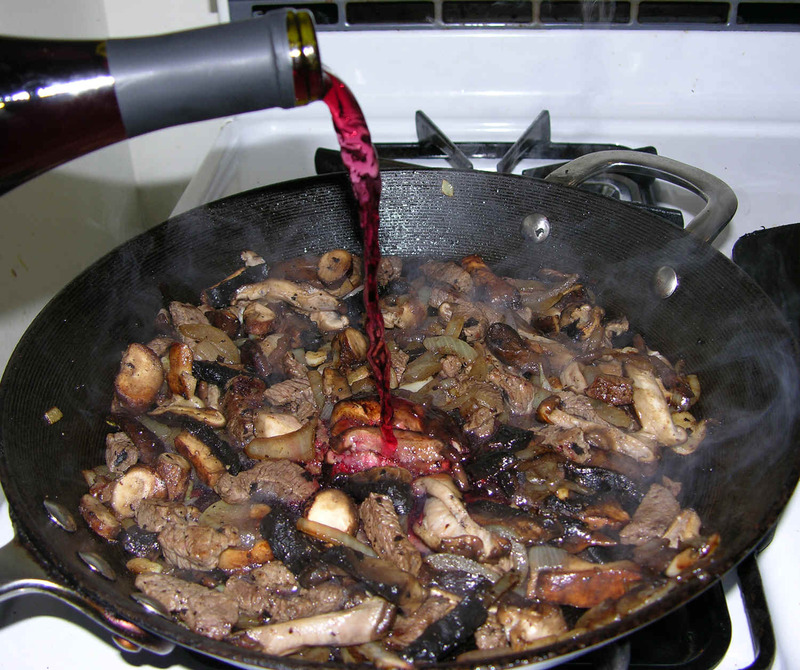 Add wine and stir occasionally until most of the liquid is gone. Turn heat to lowest setting and add sour cream. 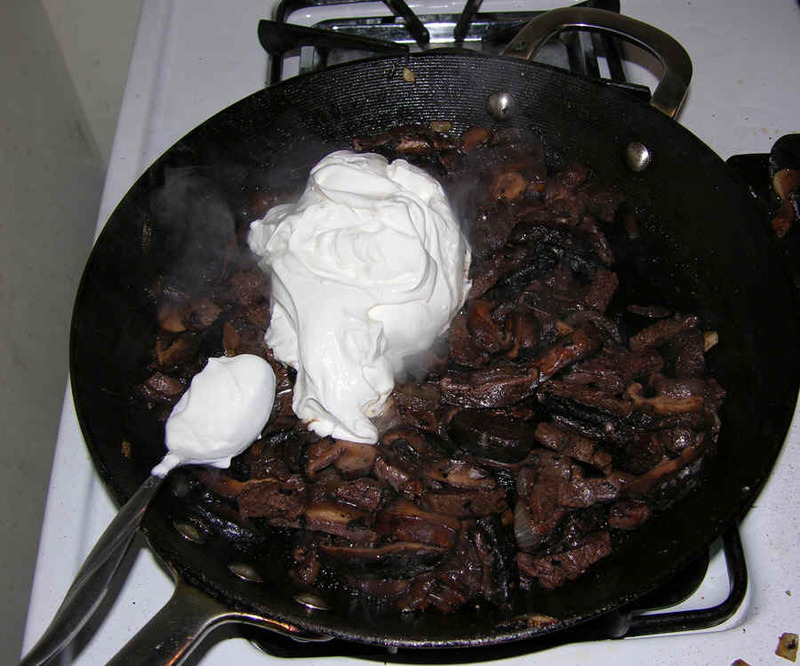 Do not allow sour cream to boil, but fold the sour cream into the hot cooked ingredients. 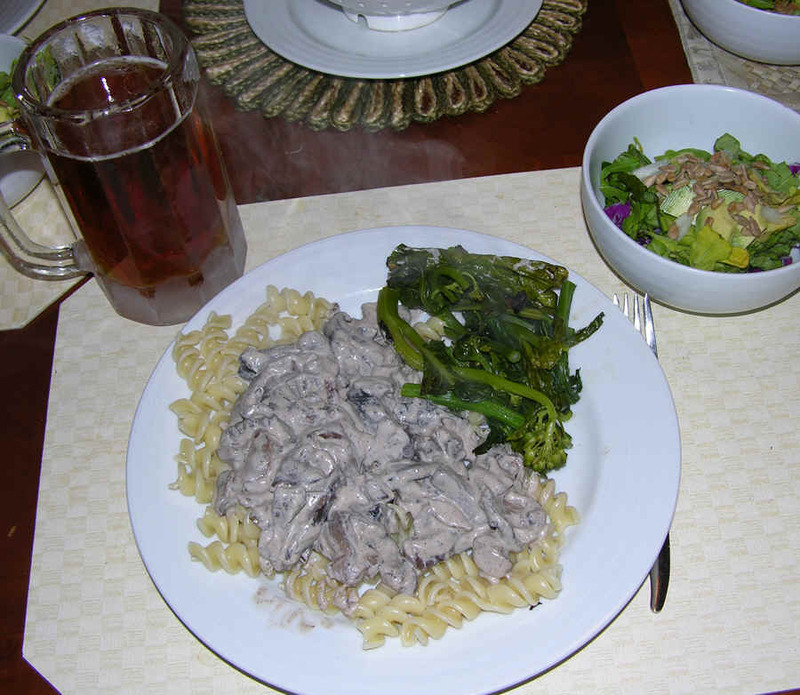 Fold cooked drained pasta into the finished meat/mushroom/cream sauce. 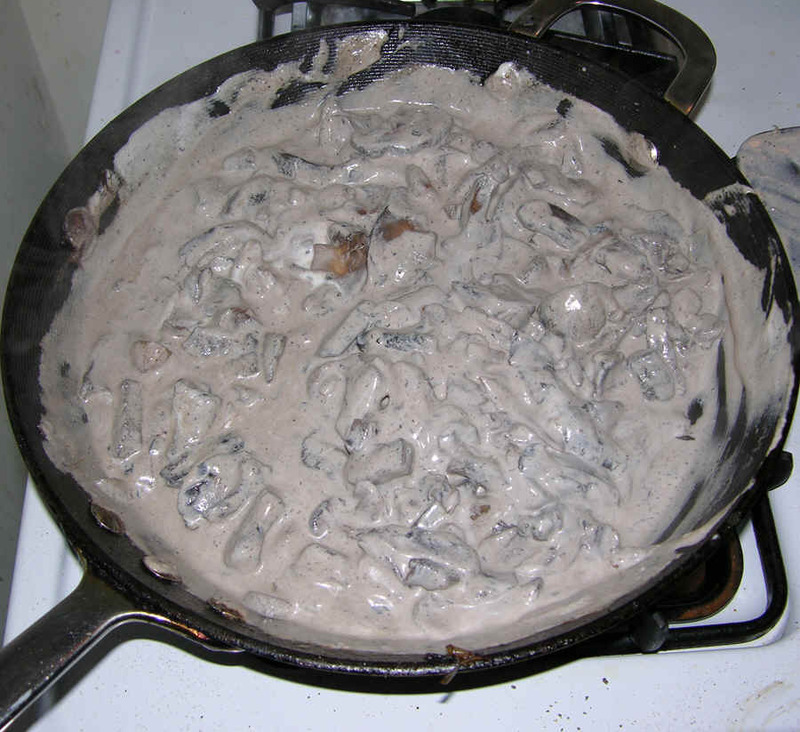 Alternately spoon sauce over pasta on serving plate. 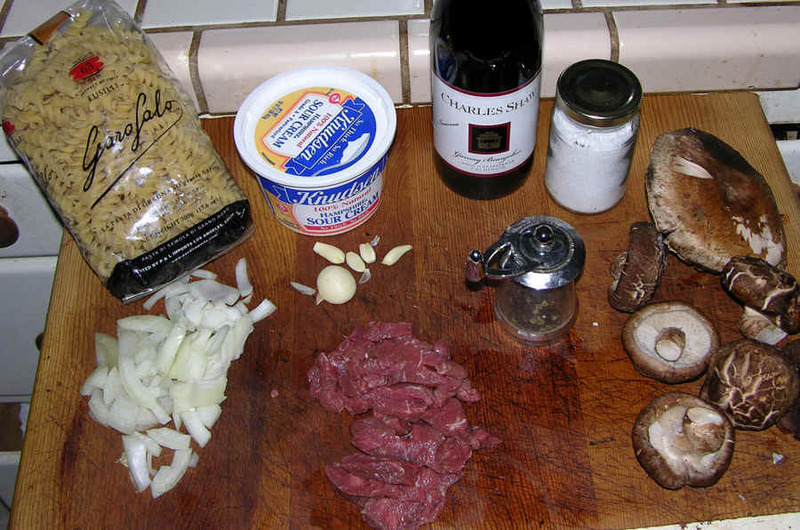 - This meal cooks fast and everyone likes it. - Use red wine or white; lite sour cream or full fat sour cream. Contact me at BioPatent for for a free half hour consultation. Please see my background and low rates.